o you have items that you plan on offering at each of your fundraising events? If so, we have the perfect feature for you - item import! 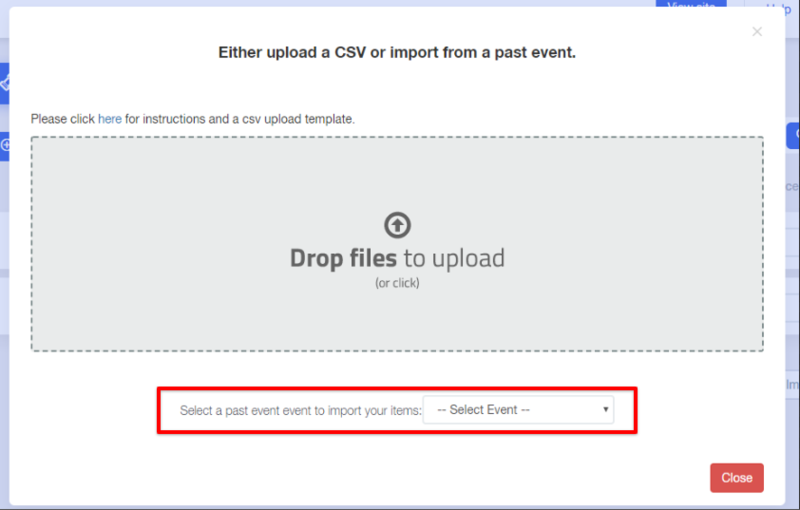 Our item import feature allows you to select certain (or all) items from previous events associated with your Accelevents account. 5. 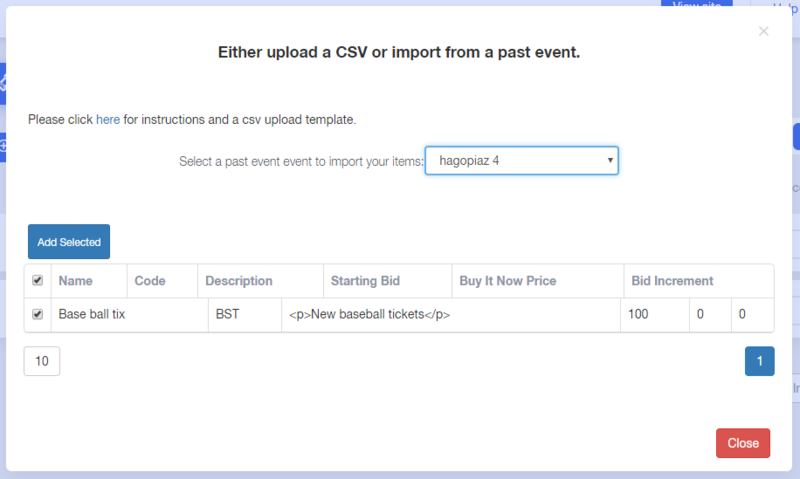 Select the items you would like to import and click "Add Selected"
Your are now ready to go!